Marrakech popular arts festival is an annual fair that takes several days featuring artists from diverse corners of Morocco, Africa, Asia, Europe and other parts of the world. 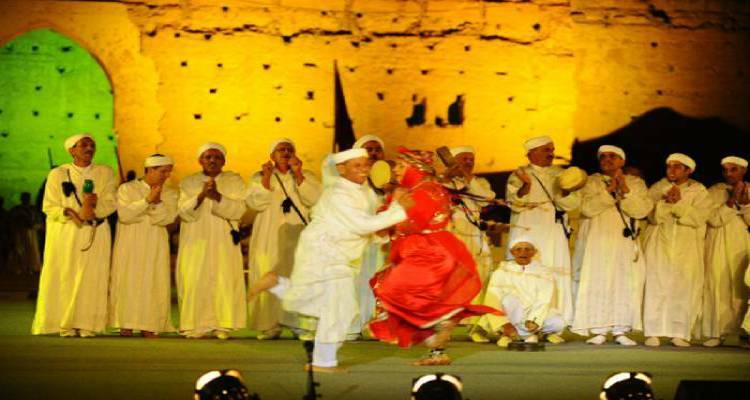 It is normally held in the month of July, attracting artists, dancers, fortune tellers, theater groups, snake charmers and other artists; placing it on the world map as one of the world’s most celebrated art events and among the most popular galas in Morocco. 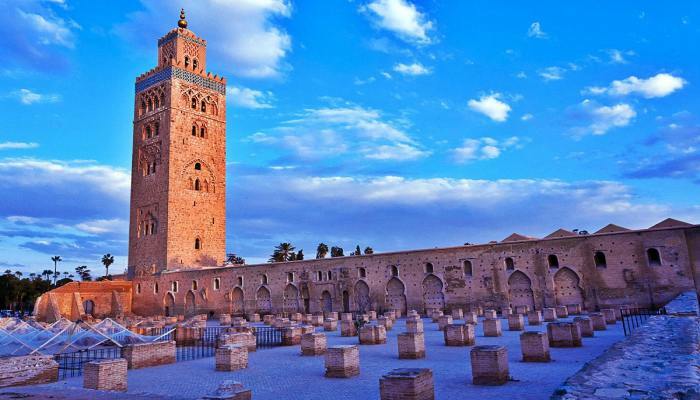 The major events of the festival are performed at the historical El Badi Palace ruins, which hold rich historical significance to Moroccans; having been constructed for a whopping 25 years, only to be destroyed in 1600s by Moulay Ismail who built another palace in Meknes. Place Djemaa El Fna, Marrakech’s main square also plays host to a number of events. At the square, there are so many things to see and do; loads of cafes and food stalls, elegant shops and sellers, ideal for those who love shopping. Furthermore, Djemaa El Fna has always been home to scores of traditional entertainers; magicians, snake charmers and storytellers. 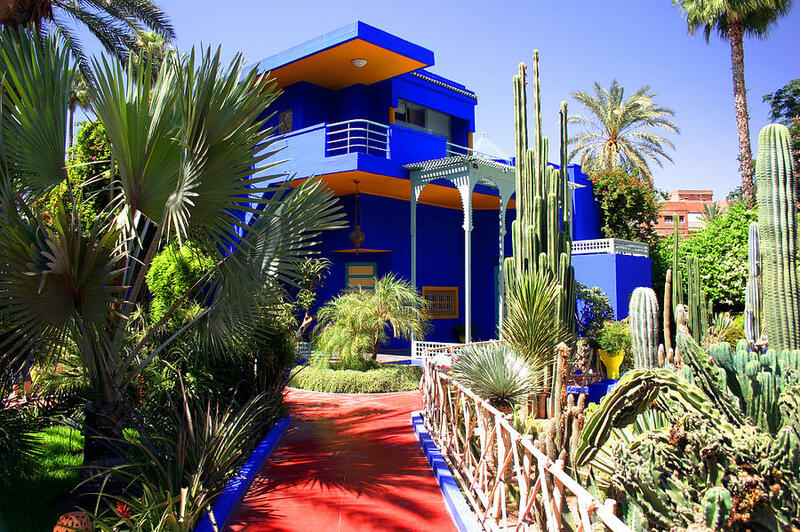 Attending the Marrakech popular arts festival would be incomplete without a relaxing and peaceful walk in the attractive Majorelle Gardens. The palm and olive trees in Menara gardens are also perfect spots to relax in the evening while on a break from the festival. Accommodation is in plenty; you can opt to stay in one of the well managed hostels or hotels in Marrakech available, the rates are affordable, although they might be slightly higher during the festivals, and peak times. 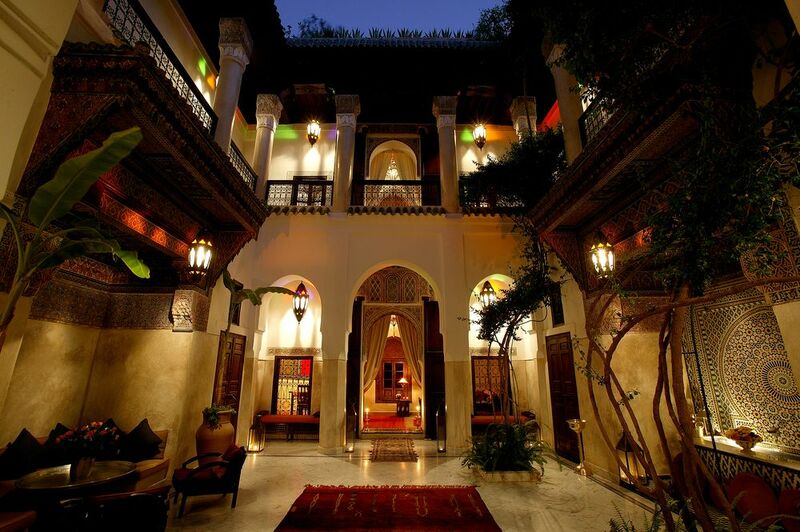 Marrakech is definitely the place to learn the Moroccan culture, sing and dance to their music and generally, get entertained for a perfect respite and amusement.